"I love, love, love your watercolors." 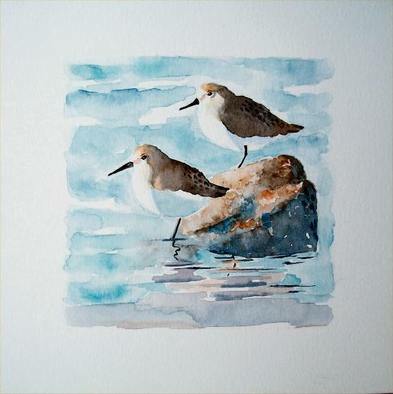 ​ "Sandpipers are one of my wife's favorite birds. Sometimes we even see birds in our front yard that look like Sandpipers. For a model, I used a painting by Nova Scotia artist, Karen Morrison. I liked this painting because I used a wet paper and painted fast and loose... something I want to incorporate into more of my work." Thank you so much Guy and keep on painting! I was born in Cheltenham England, but I've lived in Canada most of my life. Canada and specifically Nova Scotia is my home. 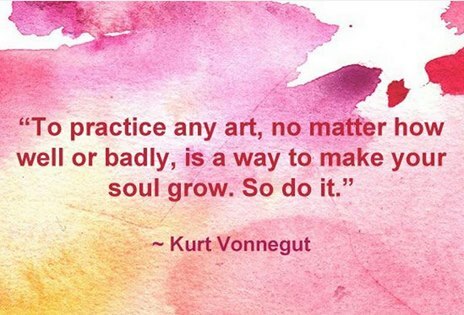 I've had an interest in art all my life and my fascination is with watercolor. I love its brilliance and clarity and utilizing the properties of water and its effects. Therefore, this website contains only my watercolor paintings. I have a love for painting whatever inspires me and I'm happiest when I'm doing so! Thank you for the support and encouragement I've had from so many. My paintings have found their way into private collections of wonderful people, not only in Canada and the United States, but worldwide! Thank you for your support for Canadian art and specifically for Canadian women's art! 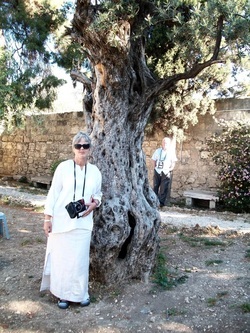 This is a photo of me in Israel in April 2012. It was a trip of a lifetime and I thought that Jerusalem was the most beautiful city I have ever seen. I loved the Bedouin people and painted several portraits of them on my return home! I have been painting for many years with acrylics but discovered watercolour in 2011.. At that time, an artist friend suggested I try watercolour as I might really take to it and when I did, it was as though I “finally came home”. It has become a passion and I love it! 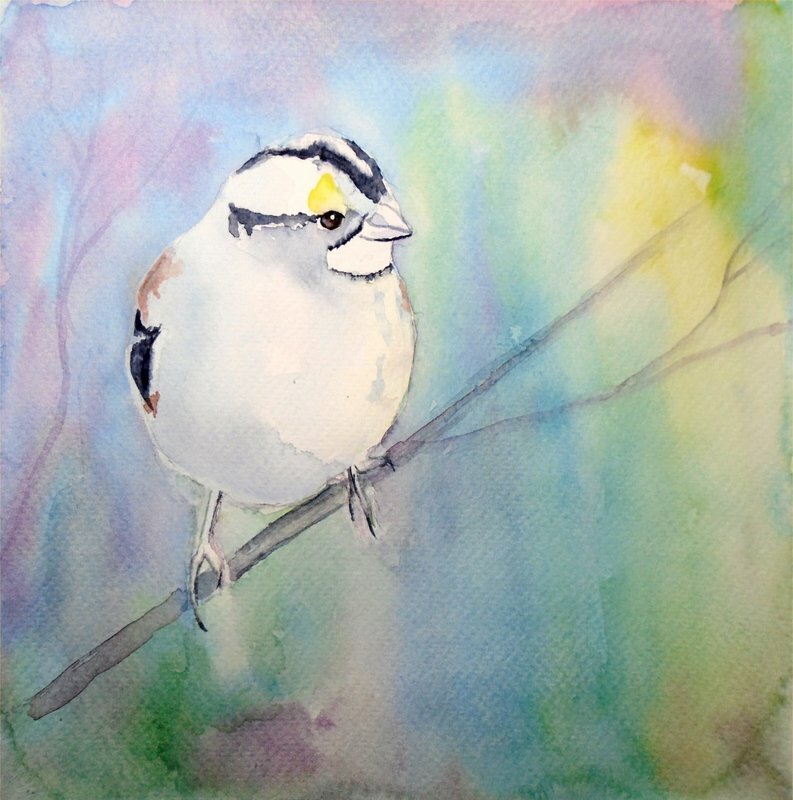 I began by painting Chickadees, Piping Plovers, Sandpipers and other birds and eventually moved on to painting children and adults “back to” walking on paths or at the beach. I also began painting small portraits and character paintings usually of African American children and adults. 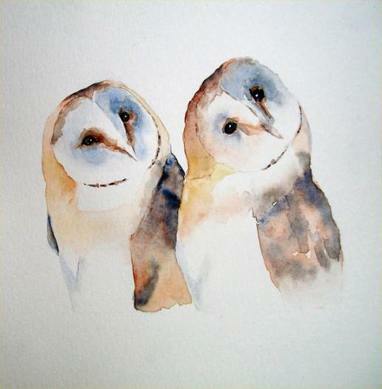 I find that watercolour really lends itself to painting portraits of these beautiful people. I love to paint ACEOs which are small 3.5" x 2.5" art cards the size of a baseball card. 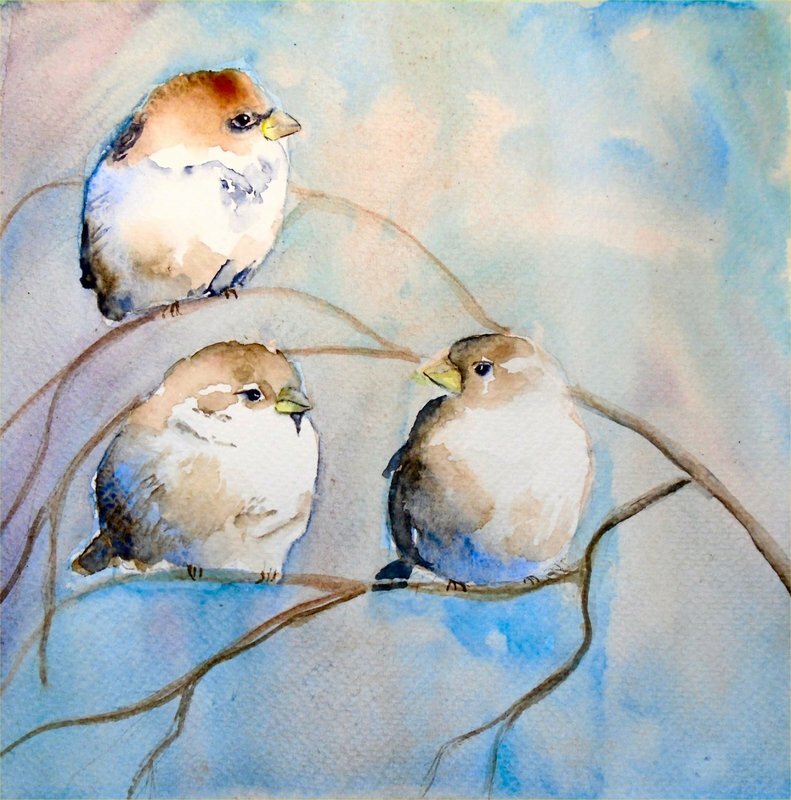 ACEO stands for Art Cards Editions and Originals. I also paint 5"x7" , 8"x10" , 10"x14", 6"x10" and 11"x14" paintings which I sell through eBay. All my paintings are first briefly sketched by hand and painted using professional quality paints and watercolour papers. I also offer limited edition prints on some of my paintings. The prints are printed on 90lb watercolour paper made in France. My paintings are generally painted on 140lb cold press watercolour paper also made in France. 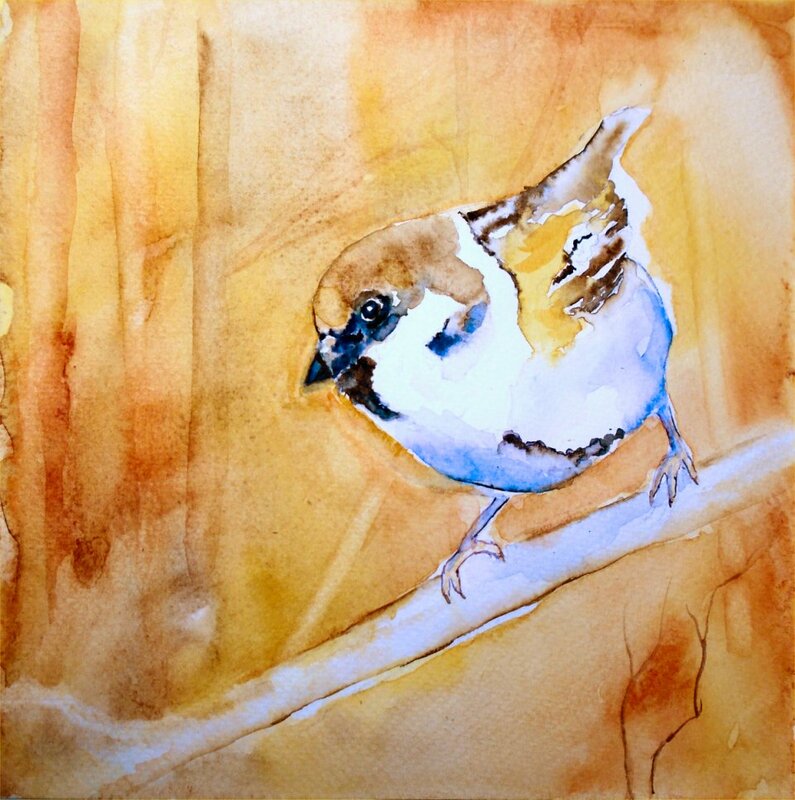 I enjoy painting birds and have painted many Chickadees, Piping Plovers, Kingfishers and Sandpipers. While we're in Florida, I enjoy painting various birds we see there, such as Egrets, Pelicans, and Sanderlings. My husband and I find enormous pleasure in watching birds at our feeders here in Nova Scotia. This year (2012) we were delighted to find chickadees nesting in our birdhouse made especially for them! Simple pleasures in life but so meaningful! I have my own signature style in watercolour. If you like what I do, I would be happy to do a painting on a commission basis from a photograph that is meaningful to you. The best kind of photos are candid shots of children, playing, running, walking on paths or at the beach and photos of them with pets. I also love to do portraiture and can work from a clear photo of your loved one. You can often find my paintings on eBay by typing nsmorrart into the eBay search. Thank you for your interest!